The other name for B12 is cobalamin and the best form of B12 injection is methylcobalamin or mythyl B12. Most clinics use cyanocobalimin, or cyano B12, which has very small traces of cyanide attached to the B12. In order for the more common, cyano B12 to be used by the body, our own metabolism must break the ‘cyano’ particle off from the B12. Methylcobalin is a natural form of vitamin B12 and can be used much more easily by the body. Be sure to ask your doctor which form they use before you start injections. If you are looking for B12 for weight loss, make sure the doctor checks your level first. If your B12 levels are already middle to high, you should have a B shot that gives less B12 and more other B vitamins such as folate, niacin, thiamine and sometimes amino acids that help maintain muscle. Bell’s Palsy: methyl B12 reducesed the recovery time in Bell’s palsy. Jalaludin MA. Methylcobalamin treatment of Bell’s palsy. Methods Find Exp Clin Pharmacol 1995;17:539-544. Diabetic Neuropathy Alternative Med Review. 1998 Dec;3(6):461-3. Heart Disease: in one subgroup study, people with high B12 levels given additional B12 had a 34% reduction in stroke, death and heart attack. Spence JD, Bang H, Chambless LE, Stampfer MJ. Vitamin Intervention for Stroke Prevention Trial: an efficacy analysis. Stroke. 2005, 36(11): 2404-2409. 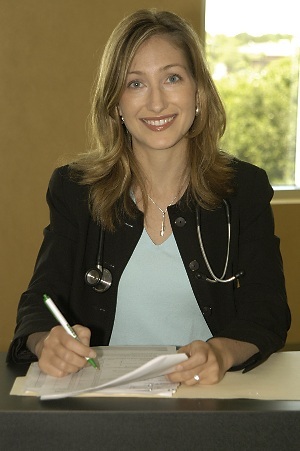 To schedule your consultation with Dr. Hermann, please call (813) 902-9559 or (727) 278-3992. Anne Hermann, MD is double board certified in Nutrition as well as Internal Medicine.